Join Oh Bessie! 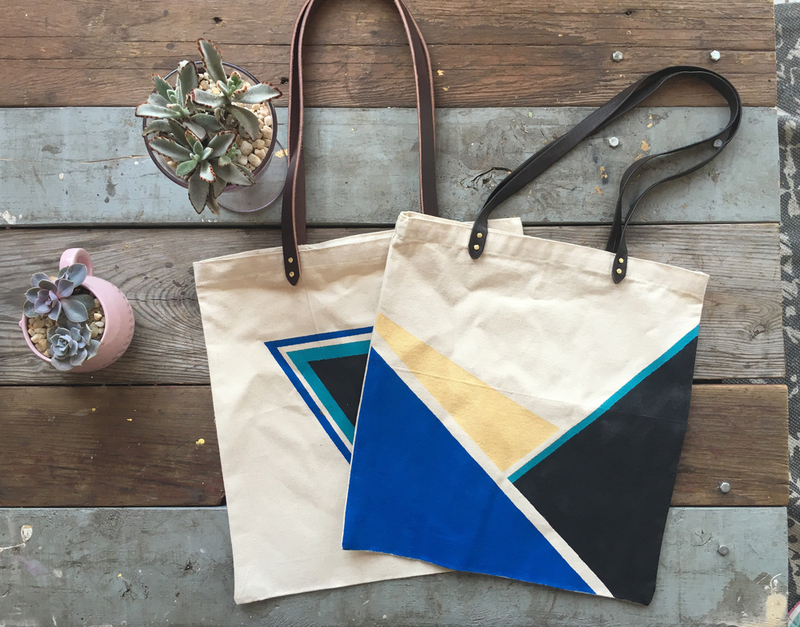 designer Jamie Thompson for a 2 hour workshop on how to turn an ordinary canvas tote bag into a color blocked tote with leather handles. In this class Jamie will guide you through prepping the canvas bag, setting up and painting your design, and riveting the leather handles. You will leave with a stylish, durable, wearable, and stunning tote. It's perfect for your new summer bag, or to gift to your favorite mom! Price includes all materials. Come with rad ideas for your design, and leave with a beautiful new painted tote bag. Jamie is the founder and designer for Oh Bessie!, a contemporary kids lifestyle brand based in Washington, D.C. She is recently back in the D.C. area after spending several years in NYC designing bedding and textiles for Bloomingdale's, Macy's, and Bed Bath and Beyond. She's always tinkering and finding new things to learn, explore, play, and laugh about.